Pathological Science is usually triggered by a weakly positive result that is especially intriguing. It is a term that refers to research characterized more by obsession than by results. It differs from a pseudoscience in that it’s more about the method than the results. 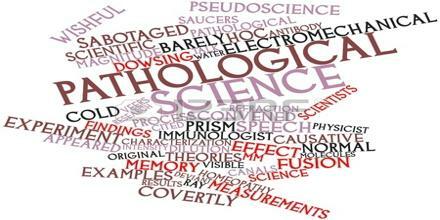 Pathological Science, as defined by Langmuir, is a psychological process in which a scientist, originally conforming to the scientific method, unconsciously veers from that method, and begins a pathological process of wishful data interpretation.